Someone has got to do it. Manual Link Building has been around since the beginning of SEO and it is still purposeful now and into the near future. The technique of manual link building in order to increase your search ranking has been around since the invention of SEO itself. However, there has been a misconception that link-building is becoming obsolete, and is quickly being replaced by content marketing. Despite these rumors, I’m here to assure you that link building is still just as important today as it was years ago. Effective manual link building services are difficult to come by but when utilized correctly can yield a substantial ROI. Anyone looking to enhance to their presence on search engines like Google should consider investing in manual link building. This tactic involves researching and connecting your webpage to links that contain relevant and quality content. Now while this may sound simple enough, there is much more to the link building process. In today’s blog post, we’re going to provide you with an overview of how to establish an effective manual link building strategy, while displaying why the method is continuously going strong in 2017. Link building is a two-way street. You can include links in your content all day and night but if no one is linking to your page, then what’s the point? The first step in establishing manual link building is ensuring that all of your content is of high quality. A manual link building service provider will put an emphasis on increasing the readability of content in order to attract potential links. The more visitors that link your content to theirs, the more of an increase you will see in your page authority. Search engines recognize when popular and influential websites begin to back link to your content, and will slowly begin to push you up the results page. Any manual link building service provider that you partner with will stress the idea of creating content worth linking to. The only thing more important than finding relevant websites to link to, are those site discovering you first. Good things come to those that wait but better things come to those that seek them out. That’s the motto of manual link building and something service providers abide by in 2017. While high-quality content is a significant factor in attracting links, you’re also going to want to seek them out yourself. That means conducting extensive research and discovering links that that are of quality and relevant to your content. When it comes to manual link building, there’s no such thing as taking the easy way out. In order to find quality links, you’re going to have to do some digging. In the end, it’s almost guaranteed that your hard work will pay off in the form of an effective link building strategy and a higher position in the search results. Content marketing encompasses every facet of the digital marketing industry, including SEO. That being said, in no way is content marketing replacing link building. In fact, content marketing can assist in the increase of links but the true solution is still manual research and determination. Content marketing and link building stand as separate entities, while simultaneously complementing each other. 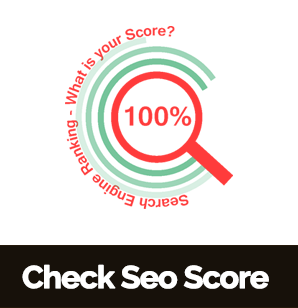 The biggest mistake you can make when attempting to increase your SEO score is to focus on one more than the other. The only way to truly find success is to treat both methods with the same level of care and attention. By placing an emphasis on link building as well as content marketing, you are sure to yield positive results in regards to your search ranking. Unlike just purchasing random links, manual link building is about establishing real connections. When seek out and link to a site or they connect to you, you’re building an online relationship. Like any relationship, they must nurtured and cared for if they are to survive and prosper. Success in link building is all about your ability to research, promote, persuade, and display relevance. It is one thing to obtain a link but to sustain it, will require varying degrees of hard work and ingenuity. Google likes to see links that are not artificial and instead one’s that feel naturally earned and relevant. This is only accomplished by putting in the effort and doing the research necessary to discovering links related to you. Sometimes the hard way is the only way but in the end the reward (an increased search ranking) is what makes it all worthwhile. Millions of search results mean millions of competitors that you have to beat out in order to achieve the number one position. The best way to develop to an effective link building strategy is to take a look what type of links your competitors utilize. A little research can go a long way in terms of finding links that are pertinent to your content. The more you analyze your competitors’ link performance, the better off you’ll be when it’s time for you to start establishing your own. It’s pretty difficult for people to link to your content if they can’t find it. This is where your promotional skills come in handy. Social media serves a great medium for sharing your content. It’s also important consider the type of content that visitors are attracted to. Large paragraphs and complicated topics tend to turn people off. Try promoting your content as lists with interesting topics and titles to provide visitors with more incentive to check it out. One of the best ways to consistently create content that will attract links is to establish a blog. Blogging is both an effective SEO technique, as well as a great way to include any established links you might’ve found during your research. Links enjoy to come across websites with an engaging blog section as it constantly gives them something to connect to. Many people fail to see the potential that images hold, especially when it comes to manual link building. Little do users know that images can be used to link out to other webpages and content. Posting original photos into your content can also lead to others using them while crediting you in the process. If you enjoy using pictures in your content, be sure to save them in a media gallery to make them easier to find. Writing content for your blog is a great to attract high quality links but writing for others is effective tactic as well. Guest blogging involves contributing content for someone else’s blog, typically one that attracts a high volume of traffic. Once you’ve obtained approval from the blog’s manager, you can then add your links into the content. We don’t yet know how Google feels about this method of link building but for now it’s best to take advantage of this opportunity while you can. Content comes in more than one form; one of them being infographics. Infographics are an inventive way to display information using graphic designs. There are websites where, for a small price, you can upload and post your infographics to various blogs and listings to attract visitors. The more relevant and creative your infographics are, the more likely people are to link them to their own content. There’s nothing worse than someone wanting to link to you but not being able to. Make your content easily linkable by setting up shorten HTML code for visitors to copy and paste into their website. Not everyone is well-versed in link building, so making the process as simple as possible is essential for attracting potential visitors. It goes without saying that manual link building is all about establishing connections. While it is possible to sit around and wait for someone to stumble across your content, the only way to truly be successful is to be proactive. Network with others in your industry and ask if they wouldn’t mind linking to your content. Also, link with others and see if they return the favor. Creating connections can go a long way in regards to link building. Informative content is great but endless paragraphs can scare some people away. Creating lists allows you to display the same amount of content, however in much more readable format. People love to scroll through lists and are more inclined to link to you and share your content with others. We live in an age of information, and as such it’s important that your content is informative. Writing guides and acting as a resource is one of the easiest ways to attract visitors. By becoming someone that others can learn from, you add a certain level of value to your brand. Once visitors realize that you are a creditable source of information, they will never think twice about linking to your content.